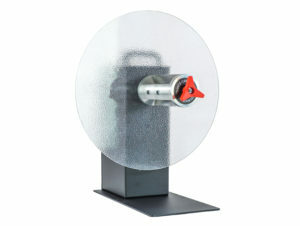 Here is our range of label roll UNwinders and REwinders. 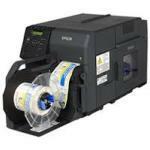 REwinders are most used to wind up a roll of printed labels as they flow from your label printer. 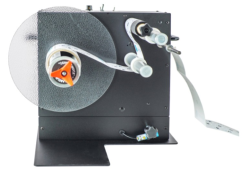 Making neat rolls of printed labels means you can store them ready for hand apply or load the rolls into one of our automated label dispensers or label applicators. UNwinders are used to feed blank labels into your printer if you prefer to work with larger rolls than the printer can accommodate inside. 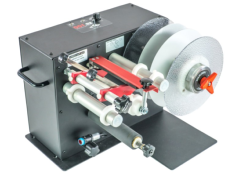 Winders can be fitted with quick locking shafts for say the popular 3 inch (76mm) industry standard locking shafts as well as adjustable core size versions will suit almost any core size. We stock a range of winders to suit each label roll printer we sell and support, ask us for advice on which winder is best for you. Looking for Label Applicators or Printer Cleaning Supplies? Click the links we have it all covered!